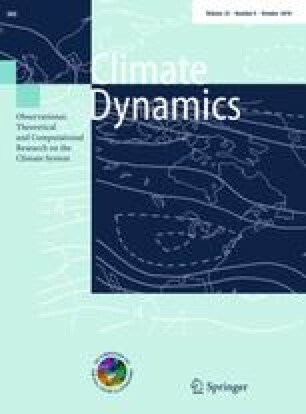 This study examines the role of vegetation dynamics in regional predictions of future climate change in western Africa using a dynamic vegetation model asynchronously coupled to a regional climate model. Two experiments, one for present day and one for future, are conducted with the linked regional climate-vegetation model, and the third with the regional climate model standing alone that predicts future climate based on present-day vegetation. These simulations are so designed in order to tease out the impact of structural vegetation feedback on simulated climate and hydrological processes. According to future predictions by the regional climate-vegetation model, increase in LAI is widespread, with significant shift in vegetation type. Over the Guinean Coast in 2084–2093, evergreen tree coverage decreases by 49% compared to 1984–1993, while drought deciduous tree coverage increases by 56%. Over the Sahel region in the same period, grass cover increases by 31%. Such vegetation changes are accompanied by a decrease of JJA rainfall by 2% over the Guinean Coast and an increase by 23% over the Sahel. This rather small decrease or large increase of precipitation is largely attributable to the role of vegetation feedback. Without the feedback effect from vegetation, the regional climate model would have predicted a 5% decrease of JJA rainfall in both the Guinean Coast and the Sahel as a result of the radiative and physiological effects of higher atmospheric CO2 concentration. These results demonstrate that climate- and CO2-induced changes in vegetation structure modify hydrological processes and climate at magnitudes comparable to or even higher than the radiative and physiological effects, thus evincing the importance of including vegetation feedback in future climate predictions. We thank Gary Strand of NCAR for making available to us the 6-hourly CCSM3.0 output from the IPCC AR4 simulations. We also thank Moetasim Ashfaq for his help in interfacing the CCSM3.0 output with RegCM3. We appreciate the thoughtful comments from the anonymous reviewers. This work is supported by funding from the National Science Foundation (NSF) under agreement ATM 0531485 and the University of Connecticut Research Foundation.